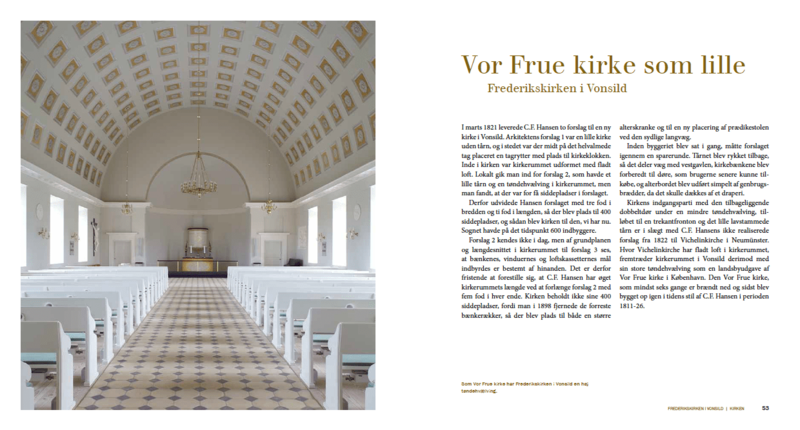 Lower East had the pleasure of designing a small book (in Danish) about the beautiful church in Vonsild near Kolding called Frederikskirken. 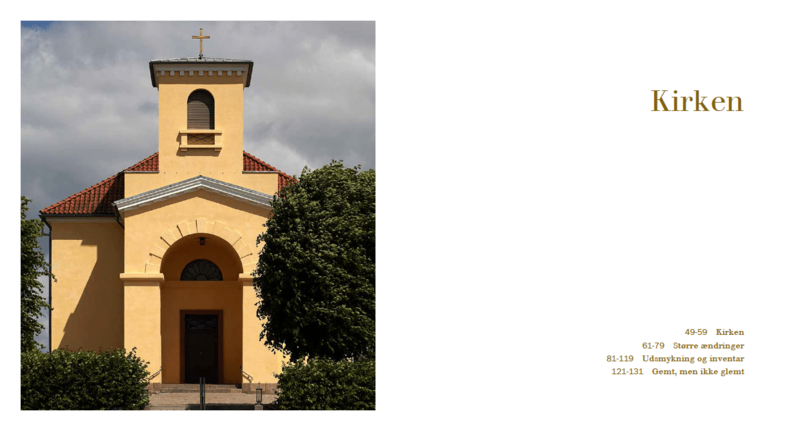 The church was inaugurated in 1824. The architect was the famous C.F. 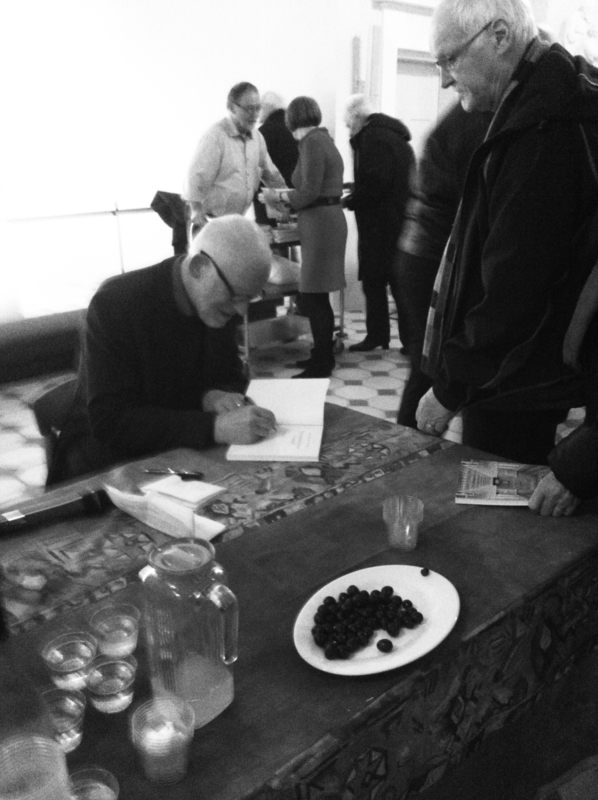 Hansen who was also the architect behind the great Vor Frue Kirke in Copenhagen. 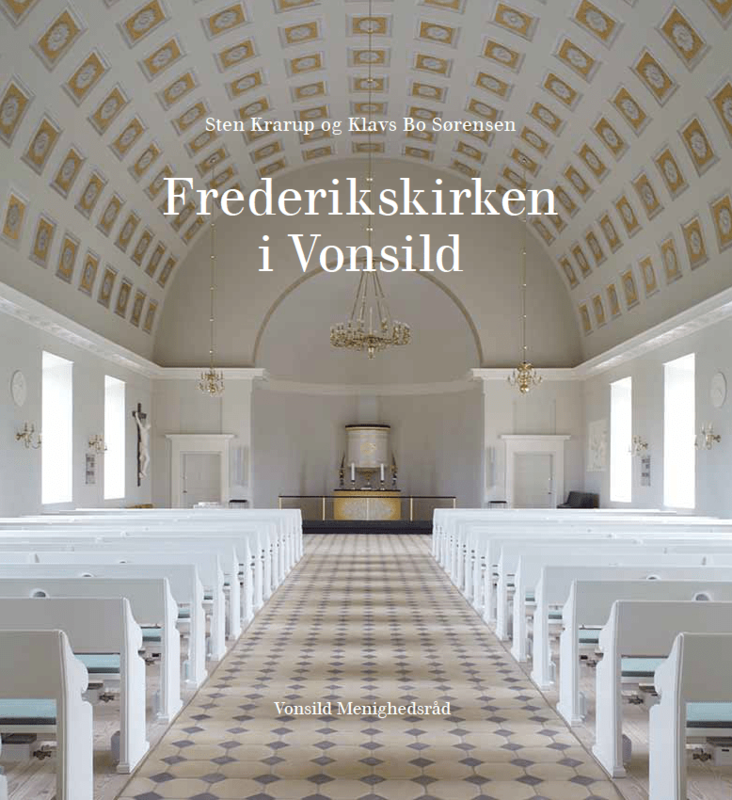 The book is written by Sten Krarup, architect in Kolding since 1978 and building expert for the church since 1997, and Klavs Bo Sørensen, vicar for 37 years in Vonsild. 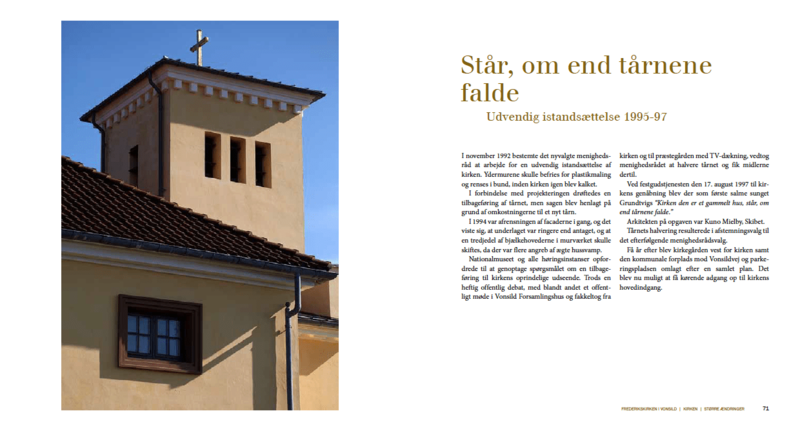 Thanks to the two gentlemen and their enormous work and research, we can now enjoy a number of entertaining storys and anecdotes about the church’s history, the vicars, the huge restoration projects – for example how the tower was build higher, because a former vicar, Mourits Mørk Hansen, in 1880 found the tower ugly and to small. Many years later in the 1990s the tower was restored to its original state in spite of citizen protest marches etc. 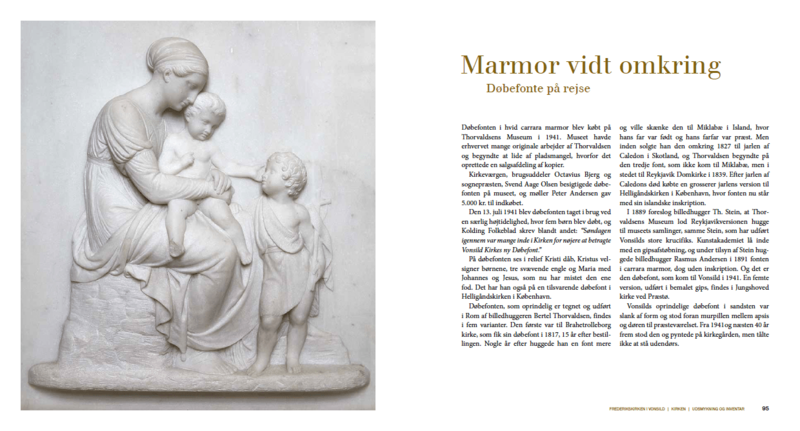 During 2012-13 the church went through a major inside restoration, and the church council wished to open the door for the beautiful results by publishing this book. 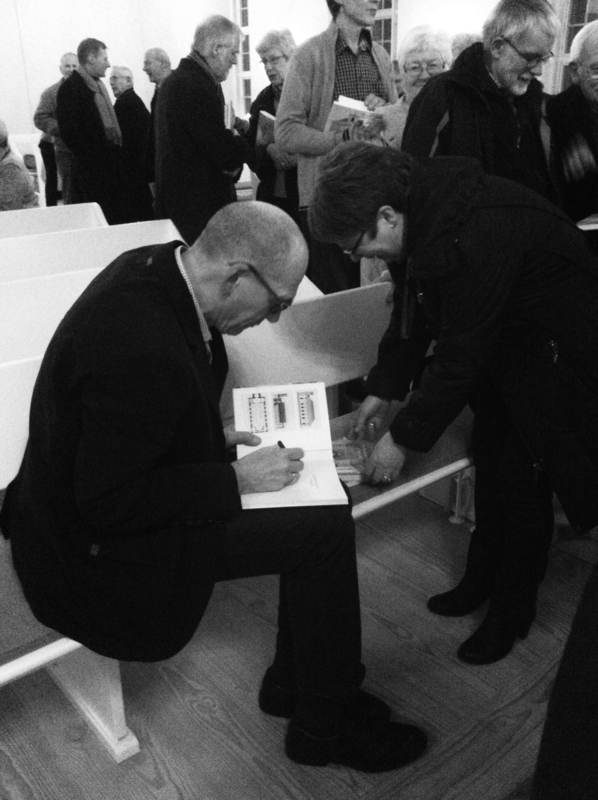 At Candlemass, February 2015, the church was full and after the service, the book was celebrated. The authors talked about their work and the parishioners could go home with a book full of great pictures and stories about their church. 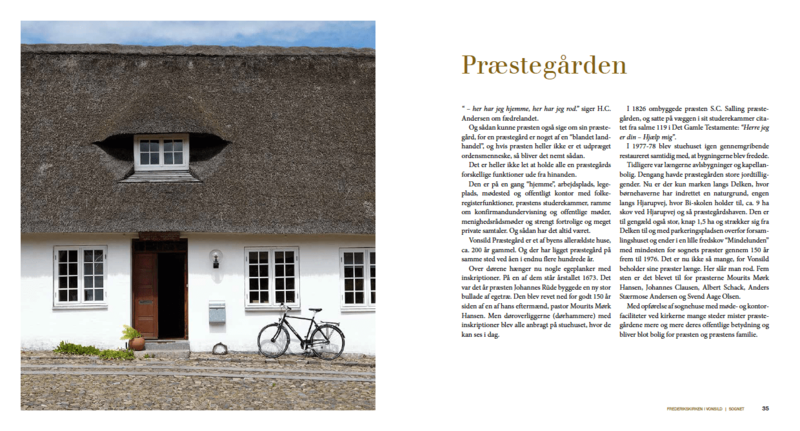 From Lower East we would like to thank the authors Sten and Klavs Bo for a great cooperation, and a big thanks to photographer Thomas Mølvig for the beautiful photos. 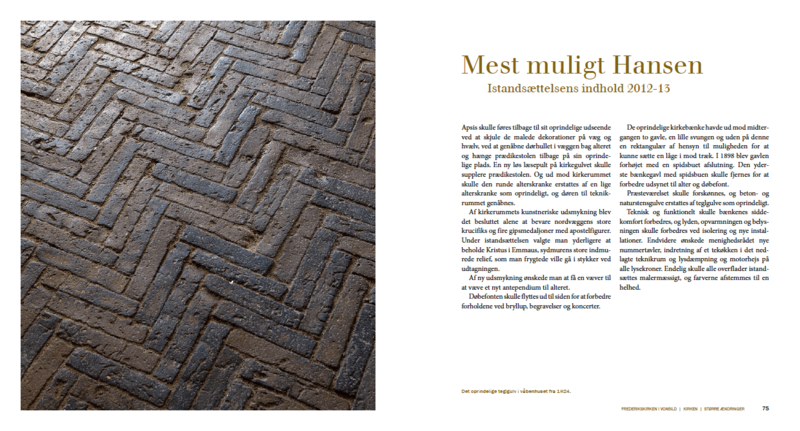 The font we used for the headlines in the book is called Walbaum, designed by Justus Erich Walbaum in the beginning of the 1800s. We think the font with its fine hairlines contrasted with bold main strokes and its unique characteristics, that makes it open, warm and graceful suits the church very well.